This past Christmas at dinner we pulled our crackers and, after sorting through the little prizes and crowning ourselves with paper crowns, we started reading our jokes and trivia. The jokes went down as well as you’d expect, “What did the fish say when it swam into a wall?” “DAMN!” but I lapped up the trivia. This is because I love facts. I love little bits of information that colour our fantastic world. Most of the trivia at the dinner table I already knew the answers to, my friends were all suitably impressed. 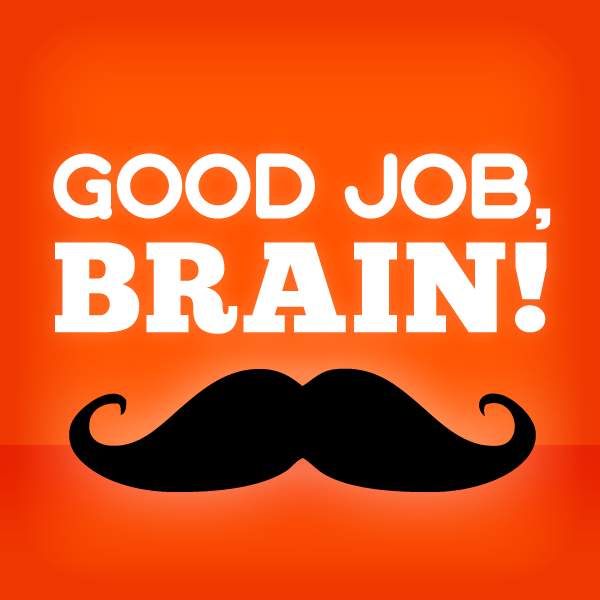 I admitted that I love trivia and that one of my favourite things is to listen to a podcast called Good Job, Brain!. It is awesome. The podcast is hosted by a colourful pub trivia team who’s specialities cover a vast array of topics. Each episode opens with a quick Pop Quiz for the hosts with a random Trivial Pursuit card – this is what hooked me initially. I felt clever when I knew the answer for one of the questions when the team didn’t. (For once my History of Art Degree came in handy!) After this each host has their own little segment based around the theme of the episode. This could be a little quiz, historical tale or scientific factoid. If you have the least bit of an inquisitive mind, then you should pick an episode related to a topic you like and enjoy! My favourite thing to do is to listen to the podcast on the tube. However the gang on Good Job, Brain don’t take themselves too seriously. The jokes and laughs between Karen, Colin, Dana and Chris have me laughing on crowded tube trains at rush hour. I don’t mind though, I’m having a laugh and learning – what’s not to love? This entry was posted in Geek, Just For Fun, Website and tagged Comedy, Good Job Brain, Knowledge, Podcast, Trivia by Jonathan Day. Bookmark the permalink.